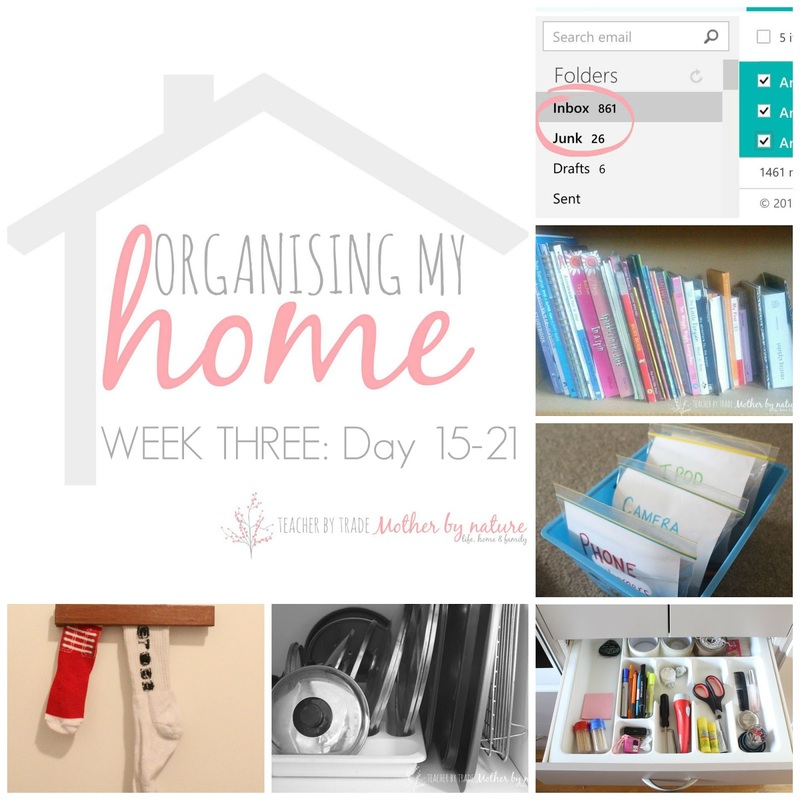 Three weeks down, and just under two to go of my 'Organising My Home' series - with some help from organised guru, Peter Walsh's #31Days2GetOrganized Challenge. How are YOU getting on in your home? 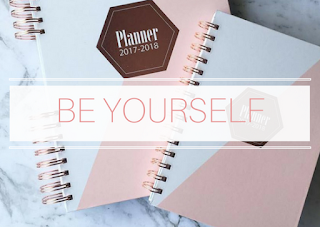 Is your home looking and feeling more organised? 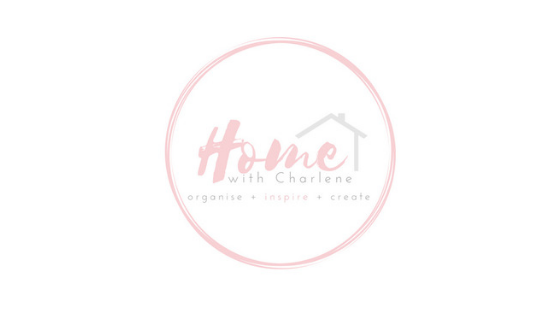 In a nutshell, I am sharing the 10 minutes tasks (inspired by organising guru, Peter Walsh) each day on Facebook // Instagram // Twitter, so if you would like to join us - please head over and follow along. Invite your friends to join you...more the merrier I say. Just jump in and get started! For more details about this challenge, click here. 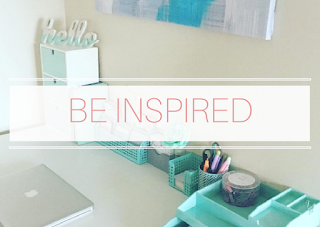 "Clutter isn’t just the stuff that’s lying around your house, it’s also the stuff in your mind". Get in touch with someone you’ve been meaning to call/ message OR initiate conversation with someone you have had a falling out with. Today spend 10 minutes reconnecting with these people. Who knows...you might just feel a little bit lighter in doing so. Here's today's 10 minute challenge. Grab all your socks and put them onto your bed, match up the pairs & discard, socks you no longer wear or 'holey' socks. If you have any single socks, turn them into dust rags. 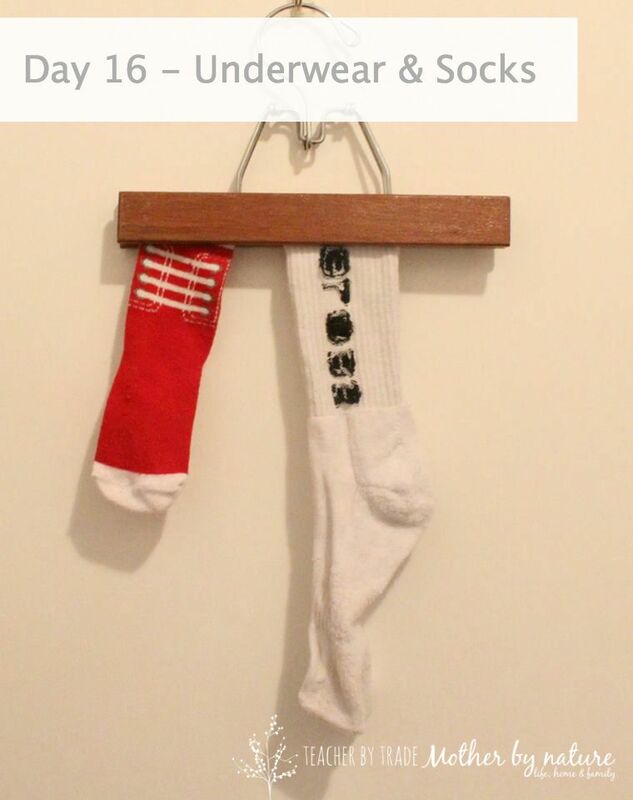 Return all the matching socks to your drawer. Then do the same with your underwear drawer! Ready, GO! How many "lost socks" do you have? 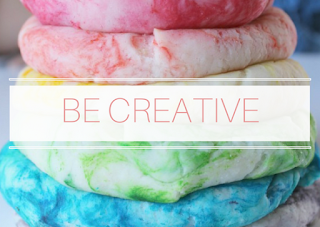 Do you love to bake? How many baking pans do YOU have? 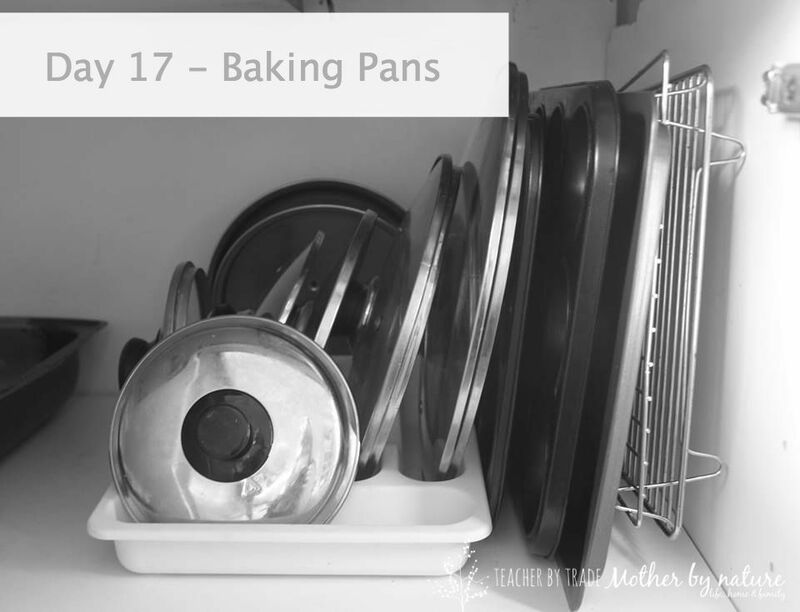 Spend 10 minutes collecting any baking pans, trays, muffin pan or baking sheets, and de-clutter any damaged, rusted, warped or never-used items, then return what you are keeping to the drawer/cupboard. I had a big cull of our baking pans before we moved, so I only have few - including a baking tray, muffin trays and wire racks.I have mine stacked next to the pot lids (which are stored in a cutlery drawer insert). Did you struggle with this task? What are you parting with today? Go through the contents and return items to their rightful homes (bathroom, kids, garage, bedroom) and then sort the remainder into categories. 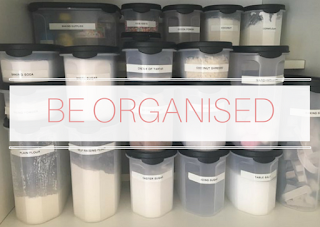 "Put like items together"
The last step is to organise the drawer - find or make an organising tray to keep things in order. For smaller items, you can use ice trays or little containers (takeaway containers are great) to store things in. I love using cutlery drawer inserts to keep things organised. It is important to keep on top of your 'junk' drawer, by doing regular checks throughout the month, so that the junk doesn't start accumulating again. Good luck! What's the weirdest thing you found in YOUR junk drawer? 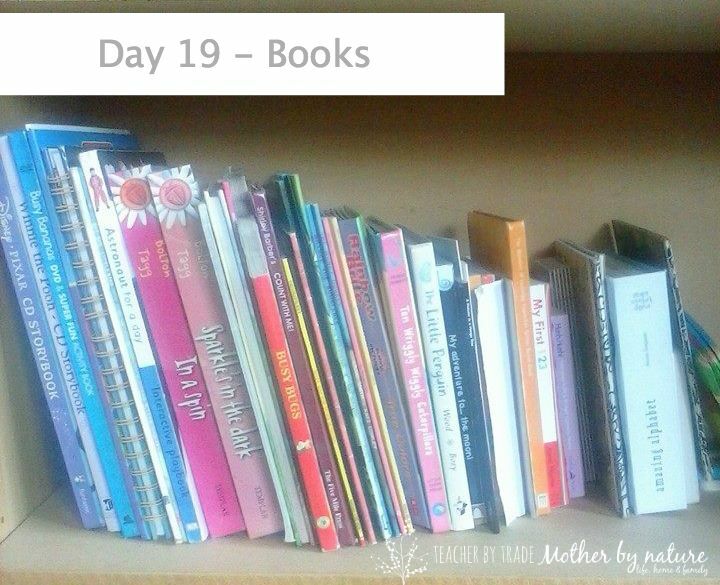 As a mother and a teacher, I love to read to my children & students, so it's fair to say I have accumulated a lot of books (especially children's books) over the past 10 years. My son even had A Little Golden Book theme first birthday, so we have a nice collection of those now too. Today's task is to de-clutter at least 5 books from your home 'library'. You can pass them on to friends, family or donate to charity. Alternatively, if this doesn't suit you, organise & tidy your bookshelves. 10 minutes...Ready? Go! I would love to see a photo of YOUR home library. Do you have cords and cables scattered in random places around your home? Spend 10 minutes collecting them all and organise the 'spaghetti' today! 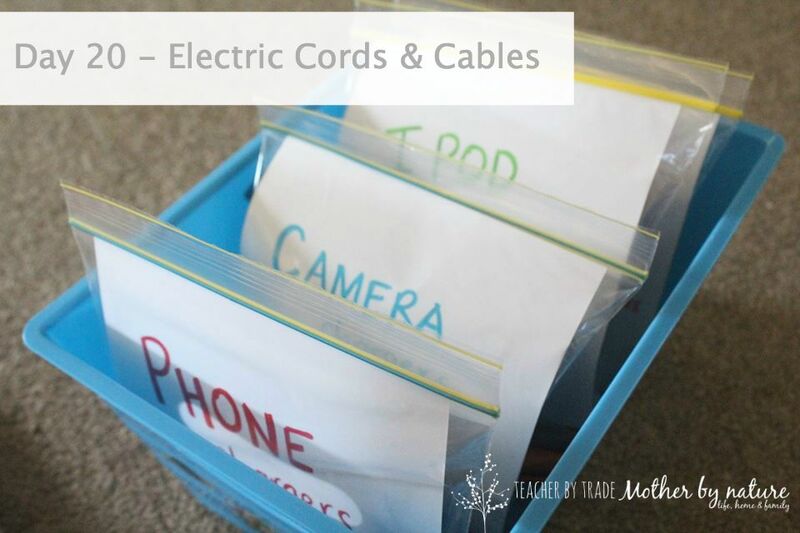 I organise our frequently used cords/cables (e.g.phone chargers, camera cords & Ipods) in these clearly labelled snap lock bags. For bigger cords, you can use toilet paper rolls to keep the cords together, and it makes it look tidier too. How do YOU organise the 'spaghetti' in your home? "Do you have some old (I mean OLD) emails still sitting in your Inbox waiting for you to deal with?" Today is the day to tackle your emails! Set the timer for 10 minutes and start clearing out those old, unread emails you have been procrastinating about! 1. 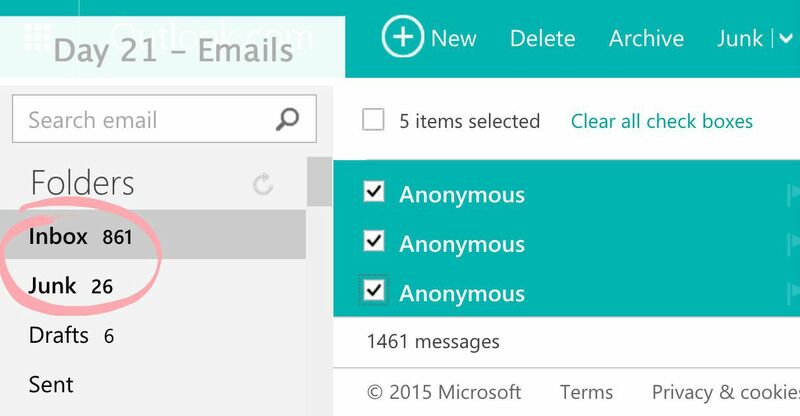 Arrange by "From" - You will quickly see who emails you A LOT... & bulk delete. 2. Turn off email notifications from Facebook - this will free up a lot of space in your Inbox. 5. 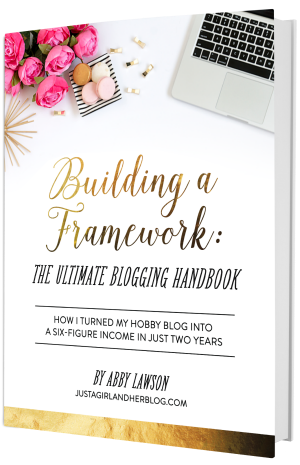 If you are blogger, use your "Blog" email when subscribing to blogs or anything blog related, that way it keeps your personal email account...personal. What is the oldest email in YOUR inbox? Week 3, done and dusted! Did you struggle with anything this week? How's that junk drawer looking? Are you ready for WEEK 4? Let's go! I did the exact same thing when we moved into our new place! Now he can easily find a pair of socks! And they call US hoarders! That after shot of the junk draw is impressive! I've also been meaning to do the cord thing for a while, but I never get around to it. Thank you Jess. 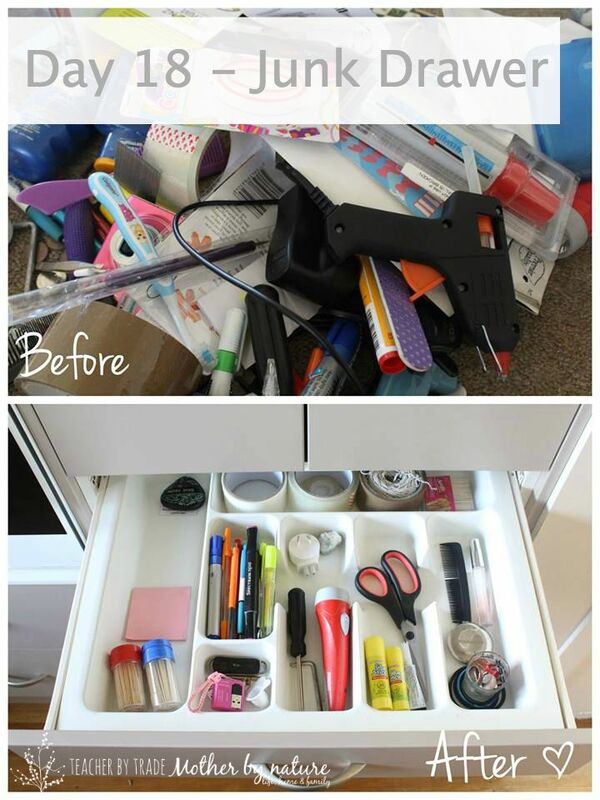 The cutlery drawer insert is perfect for a junk drawer! Let me know how you get on, if you do organise your cords. Woohoo! Go you Nicole! Moving house has definitely helped me be organised - new house = new beginnings. My before photo of the 'junk' was a box of miscellaneous items I had from our old place. Now everything has a place! I saw Peter Walsh on one morning show and he showed how easy it is to fold a fitted sheet. This guy is the business and your results are awesome. I've still yet to tackle my office but my husband made one drawer free in my filing cabinet so I can put so e stuff away. I am slowly getting there with my office...I can see the floor, which is an improvement! Thank you so much for your kind words Rebecca. Yes, Peter Walsh is the business! Love his enthusiasm about organisation! It's contagious! For my kids I only buy them one variety of school socks and one variety of sports socks, so matching socks becomes so much easier. Odd socks are eliminated because all the school socks match and all the sports socks match! 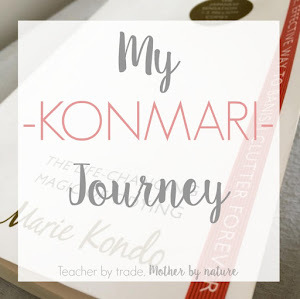 I love this, I'm quietly following along, we are moving soon, so this is just perfect for me. Such a great idea! You've inspired me to cull some books (but not recipe ones "shudders"!) and I think I'm going to try the socks and undies too. As for the pot lids, that's just genius! You're welcome! 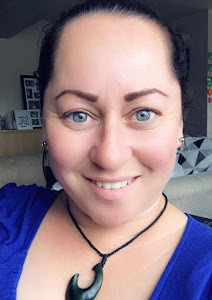 Would love to see your before and after photos!